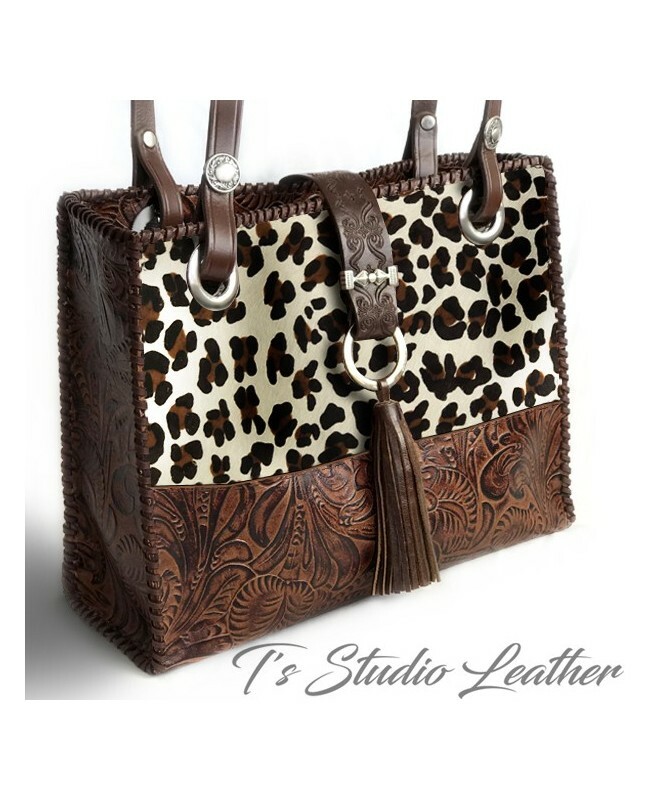 Genuine hair-on cowhide leather in cheetah leopard print, combined with embossed floral tooled leather in a rich whiskey brown. Edges have been whipstitched by hand with a deep brown deerskin leather lace. The front flap is made with textured leather and matching leather tassel. Interior is made with a fun animal print fabric in complimentary colors. This handbag is available in several leather colors and textures.